Often referred to as "the American Van Gogh," Reynolds Beal was a leading early twentieth century impressionist. 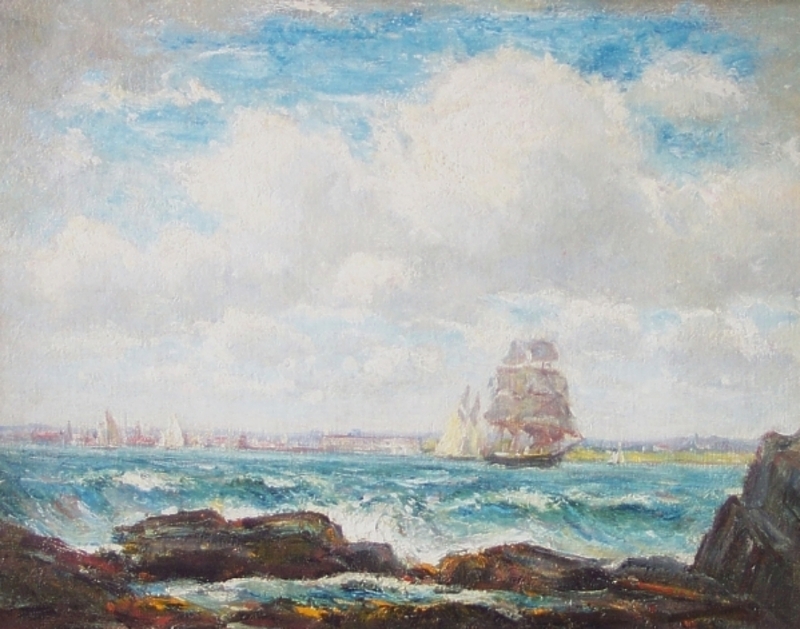 His lifelong love of the water was borne out in brilliant seascapes and marine subjects, while more whimsical works executed in lively colors identified him as an aesthetic adventurer. Born to an affluent New York City family, Beal studied naval architecture at Cornell University. Following his graduation, he toured the great art capitals of Europe before entering formal study with William Merritt Chase on Long Island in the early 1890s. Liberated by independent means and encouraged by his younger brother, the well known painter Gifford Beal, Reynolds was able to travel extensively throughout the United States, Caribbean, Central America, and Europe, often in the company of leading artists such as Childe Hassam, H. Dudley Murphy, and William Glackens. Based in Rockport, Massachusetts, he also worked extensively with Henry Ward Ranger during the first decade of the new century. Beal had his first one-man show in 1905 and, in 1909, was elected an associate member of the National Academy of Design. In 1919, Beal was one of few Americans selected to exhibit at the Luxembourg Museum, a high honor for artists of the day. Progressive in both spirit and technique, he was one of the founders of the Society of Independent Artists and the New Society of Artists. Depicted in a crisp palette that conveys a sense of brisk ocean breezes, Atlantic waters play a central role in Beal’s canvases, Atlantic waters play a central role in Beal’s canvases. In the 1910s and 1920s, he painted a series of light-hearted, spontaneous scenes of traveling circuses.